How Much Worry is Too Much Worry in a Child? We want our children to be polite, follow expectations, be rule followers, but not to the point where they're always afraid they'll make a mistake or hurt someone's feelings. Then they're anxiety ridden and may need our help to let them just be themselves with flaws and errors along the way. Some children want approval very much from their parents and teachers. They often stick closely to rules, don't want to be rude, listen to your directions, are kind to others, and want to be considered "nice" not "mean." But some children worry about these things too much to the point where they become anxious. We want our children to be polite, follow expectations, be rule followers, but not to the point where they're always afraid they'll make a mistake or hurt someone's feelings. Then they're anxiety ridden and may need our help to let them just be themselves with flaws and errors along the way. How to Know if Your Child Worries Too Much? 1. Does your child need frequent praise about how they are behaving? They deserve the praise, but do they need too much reassurance than is really needed? 2. Does your child struggle too often about things they say that might hurt someone's feelings?. These are minor things that people shrug off that they make mountains out of. 3. Does your child speak too quietly much of the time as if what they will say will be unkind? What they have to say is just plain normal, but they worry about being outspoken in any way. 4. 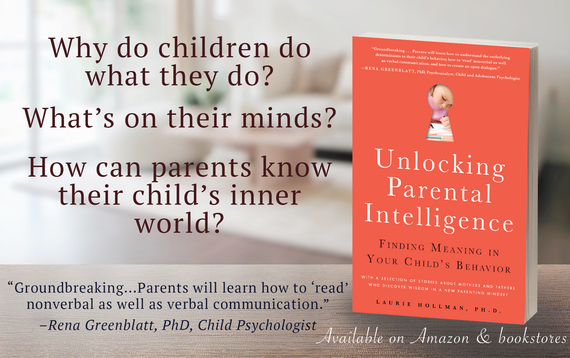 Does your child tell you they have a secret thought that they want to tell you? It's a minor negative feeling about someone they care about but are afraid to tell them and maybe shouldn't. They want reassurance that they had this thought. 5. Does your very good child fear she's bad? Does she need reassurance too often that she's good? 6. Does your child confuse thoughts with actions? Are they afraid that if they think a negative thought about someone that it's the same as acting on it which they never would? 7. Does your child worry about external events? Are your kids worried about family finances, strangers, world peace? 1. Reassure them that thoughts and deeds are different. Thinking a negative thought about someone is not the same as doing something to hurt them. 2. Explain to your child that everyone makes mistakes and we learn from them. 3. Tell your child you like them just the way they are. You don't expect them to be perfect. 4. Tell your rule-follower that everyone breaks rules some of the time--even on purpose if they don't think the rule is fair. 5. Tell them it is okay to disagree with grown-ups. Adults make mistakes. Sometimes they're too stern and strict. It's okay to explain to a grown up why you think they're being unfair. 6. Tell them being a child means having fun--not worrying all the time about being good. They just have to be good enough to feel okay about themselves--not perfect. If your child has the worries above all the time, seeks reassurances frequently, seems irritable and nervous, doesn't sleep well, over eats or under eats, or just plain struggles with what they are thinking too much of the time, seek a professional consultation for an anxiety disorder. No child should suffer so much with their thoughts that it interferes with enjoying their day. Don't dismiss their worries--heed them and listen carefully. Laurie Hollman, Ph.D. is a psychoanalyst with a recent book, Unlocking Parental Intelligence: Finding Meaning in Your Child's Behavior, found on Amazon, Barnes and Noble, Familius and wherever books are sold.